Writing this post will be a struggle. It's taking every inch of me to keep my eyes open and not crawl in bed by 8:00 p.m. However, I have a story to tell and it shall be told. Last night I broke just about every rule I was taught by my parents as a child: Stay with the group, don't talk to strangers, and don't get in cars with them either. I guess the strangers bit has gone out the window - I mean, how else am I supposed to network in this town - but the other "rules" should probably be abided by. After the concert, Mich and I met up with her sister, her fiance and some friends of theirs. Turns out they know a guy named Todd who used to work at MySpace (or something) and knows Katy. He had six passes, yet they all served different functions: meet and greet, all access, backstage, after party. There were seven of us, so Mich and some others went backstage to meet her while her sister and I waited patiently. Here's my thing, I'm a fan of meeting people when I'm with someone they know. It makes it less awkward and I don't feel weird when they're friend is like, "Hey, this is my friend Kirbie" instead of "Hey! I'm just a fan!" So I wasn't upset that I didn't get to go. Five minutes later, they were all back and they didn't get to meet her. However, we were going upstairs to VIP for the meet and greet - all of us. Okay, cool. I still didn't have a pass at this point but apparently that didn't matter because we all got up there safe and sound. At this point I texted her agent to see if he was there so I could say hi - he was not - so we waited. And waited. And about 11:30 rolls around and we decide Katy is probably not going to show, so let's leave. We went to a small hole-in-the-wall bar off La Cienega. I'd never heard of it and it was completely invisible, meaning you wouldn't know there was a bar behind that door if you were passing it by. Little did I know that by walking in that door and whole new world was about to come to life. As I walk in, I notice it's crowded. VERY crowded. 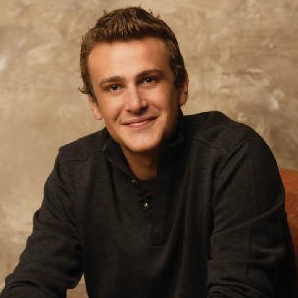 So we're walking along the bar, trying to bypass many patrons when I look in front of me to see none other than Jason Segel. Seriously?! Again!!! This is ridiculous. I was so weirded out by this that I barely noticed that John Mayer was standing right next to me. The irony in all of this is that John's agent is also Katy's agent, so it was a weird connection. I couldn't believe they were both there! Jason is handsome and so is John, however John is a lot shorter than what I remember from his concerts. He's not short, but he's definitely not massive. I guess anyone would look short next to Jason though because he's a giant! Anyway, after waiting around for a booth, we took seats next to a group of people whom I didn't know (talking to strangers). Michelle knew one of the guys, Carl, because they both went to ASU. Turns out that Carl's friend went to TCU and both of them were from Westlake (in Texas). So we had some common ground to start on. They were sitting with two stylists - one apparently styled J. Simp while the other styles Perez Hilton. He was extremely nice and fun; she on the other hand ... well, I'll just keep my comments to myself. She wasn't very friendly to say the least. 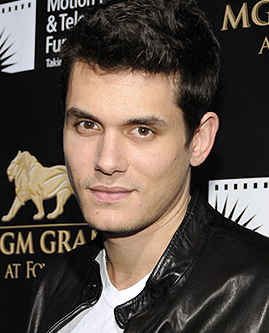 She made some VERY, very strong accusations against John Mayer. Very foul ones at that. Being a fan of his and knowing people like to say crap because it makes them feel important, I decide to not believe a lot of what she was saying. So the night lingers on and they say we're going to a party - Mich and I thought it was at a bar, turns out it's at a house in Bel Air. The house is beautiful and apparently belongs to the heir to the Dole (as in fruit and juice) fortune. The drive there was terrifying and I was pretty sure we were going to die, but hoping we wouldn't because my Mom would have killed me if I died in a car with complete strangers. Upon arriving, we waited outside a gate and eventually parked outside because the driveway was full. We went in a side gate and walked up a very steep driveway when a woman was walking down towards us. As we approached her, I stuck out my hand. "Hi, I'm Kirbie." She took my hand and shook it and pronounced, "Hi. I'm Eve." 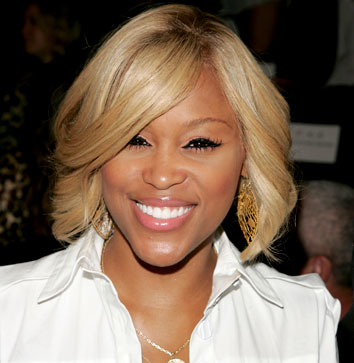 Once we got into the light, I was surprised to see that not only was Eve very pretty, but she wasn't just a regular Eve... she was the Eve, the rapper. Needless to say it was a very bizarre night. Mich and I were so freaked out that we called a cab, found out everyone was leaving so got a ride with them, them realized Michelle left her purse at the house so got out of the car and walked back to the home, only to have Eve make a U-turn to turn around and get us because she "wasn't going to let us walk back in the dark." After getting Mich's purse the cab we had originally called showed up and made our way back home. Do I think I learned anything from this experience? Sure, however I doubt I won't be talking to strangers anytime soon.